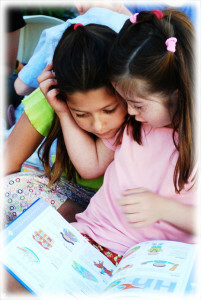 NACD has been working with thousands of children with Down syndrome for over thirty years. We have learned a great deal in that time about the reality of this diagnosis and what it does not mean. The diagnosis of Down syndrome does not mean that there is a genetically imposed limit to a child’s intelligence. It does not mean that there is going to be little or no speech. It does not mean that the child cannot learn at a reasonable pace. It also does not mean that the child with DS is just like every other child with DS. While there are similar challenges to children carrying this diagnosis—such as a tendency toward low muscle tone and a risk of cardiac problems—there is no one-size-fits-all approach that is appropriate and efficient. The staff at NACD has seen children with DS make the honor roll, graduate from high school, attain meaningful careers and become active participants in the community. We have learned to see each child as an individual and assess his or her current level of function (which is to assess his or her current level of neurological efficiency) and then work from there. NACD knows all children with DS are not alike. We design each child’s program differently according to the current needs and level of function of that individual child. Because NACD’s approach is eclectic and continually evolving, our prescribed program activities change as we learn new strategies that work even better than the old ones. We are constantly gathering methods proven to work from disciplines that address speech, vision, nutrition, tone-building, and efficient learning. For example, recent breakthroughs in the field of Speech Pathology that utilize a more developmental approach to achieve oral motor function have influenced NACD to alter our approach to oral motor work as well. The NACD staff continues to explore and learn new strategies to keep our programs the most efficient and effective in the world today. Parent training is at the heart of NACD’s success. 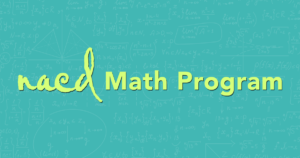 Our goal always is to assist parents in helping their children make significant progress in all areas of function including cognition, language, fine and gross motor skills, social interaction and behavior, and academic learning. Every child’s program is tailored to address all of these areas. NACD staff train parents in the implementation of the child’s program and remain available at all times to support parents in their efforts. It is the parents’ determination for their child to succeed combined with NACD’s dynamic program of appropriate intervention that leads to success.